The “Deutsche Vakuumgesellschaft” awards physicist from TUM. 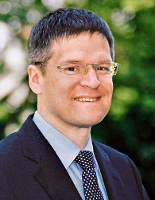 The “Deutsche Vakuumgesellschaft” (German Vacuum Society) awards next year’s Gaede Prize to Dr. Wilhelm Auwärter from the Physik-Department of TUM for his seminal work on porphyrin molecules at interfaces. 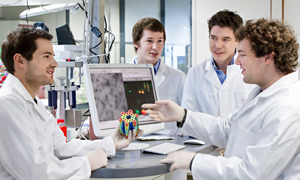 The research field of the 41 years old Swiss includes functional layers and molecular nanosystems on surfaces. 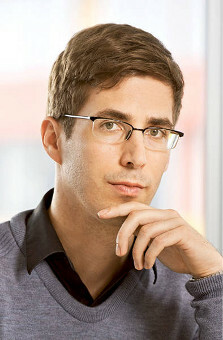 Auwärter got his PhD in 2003 from Zurich University, where he researched hexagonal boron nitride on nickel (111) surfaces. Currently he is a TUM Junior Fellow at Prof. Johannes Barth’s chair for Molecular Nanoscience and Chemical Physics of Interfaces at the Physik-Department. 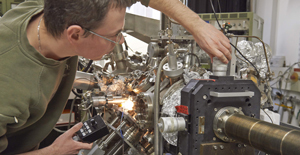 Here, his research addresses metal porphyrin compounds and two dimensional nanosturctures, which he studies with different experimental techniques, including local probes and synchrotron radiation. The aim is to conceive new possibilities for an optimization of electronic, magnetic and optoelectronic properties on a molecular level. Research at this boundary of surface chemistry, supramolecular chemistry and material science may pave the way for new molecular sensors and switches, catalysts and nano electronics. The Gaede prize of the Deutsche Vakuumgesellschaft (DVG, German vacuum society) is endowed by Dr. Manfred Dunkel and fostered by Oerlikon Leybold Vacuum GmbH (Köln). It has been awarded annually since 1986. The Prize aims to honour works of younger scientists without a permanent position as an university professor or an equivalent position at a research facility or in industry. It awards basic research as well as applications and process engineering in one of the fields of DVG. The prize consists of a certificate, a model of the first molecular drag pump of Prof. Wolfgang Gaede and a prize-money of 10 000 €. It will be presented at the DPG spring conference of the condensed matter section of the DPG (German Physical Society).